This is the island for burial in Venice which you visit by way of a vaporetto , or taxi boat from the main islands of Venice. This place came to mind today as much of the world is celebrating All Saints Day. I am not sure if my theogy or history of the church is correct but for me this is the day to remember people who have lived, worked, raised their family and all with faith and hope. They are not the well known saints of the church who all have their own feast day, these are simple people like me. Their families remember them and go to place flowers on their graves to thank them for their sacrifice and example. 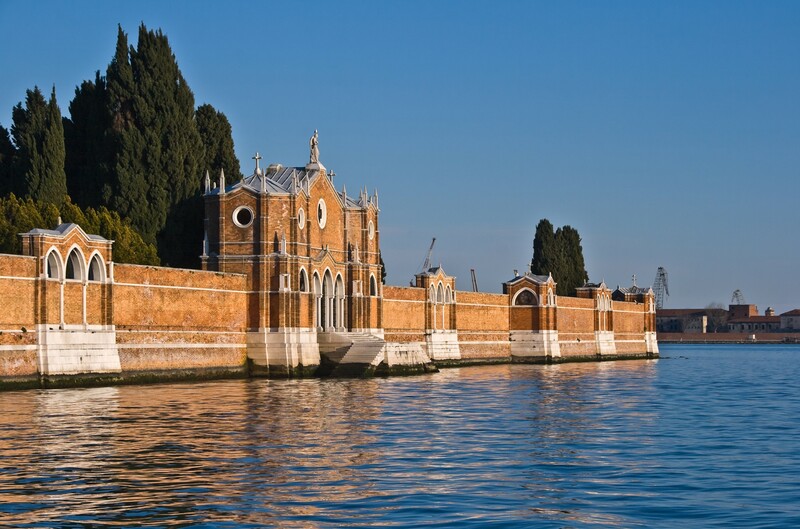 In Venice, people would go to St. Michael’s Island to visit their simple, private saints from their family. The traditional cemetery is quite full forcing the planning to include above ground vaults for their loved ones. 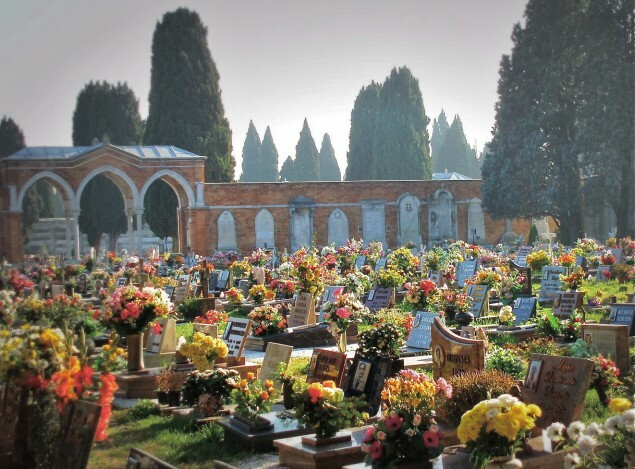 I even found a video showing a vaporetto arrival, and a walk through the cemeteries . The visitor is hunting for Ezra Pound among other famous people buried there. 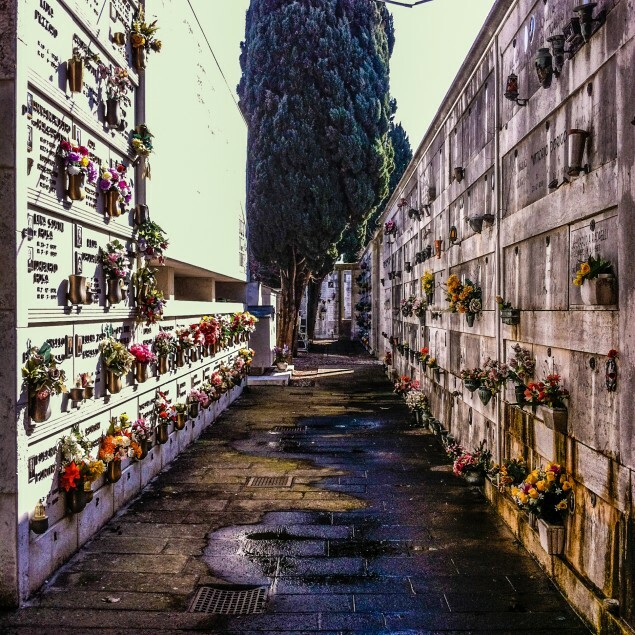 A man from South America is mentioned who came to die in Venice to be buried there. That reminds me of people going to die in Varanasi to be cremated on the ghats. 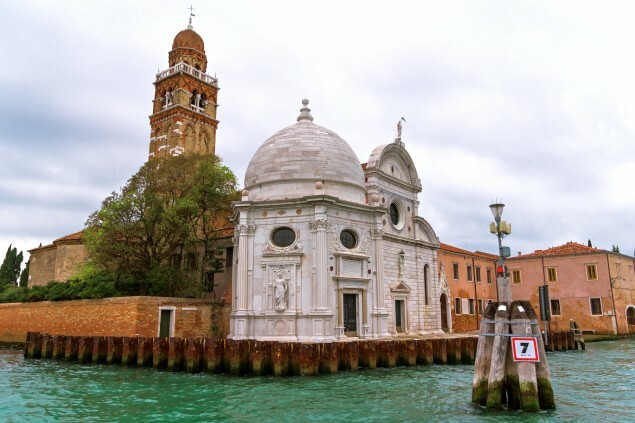 This entry was posted in Religions of the World, Travel, Uncategorized and tagged All Saints Day, blogging, Catholic Church, church history, faith, Gondola, photography, Protestant church, religion of the world, saints, St Michael's Island, vaporetto, Venice burial island, Venice Italy. Bookmark the permalink.